Galanthus nivalis was described by the Swedish botanist Carl Linnaeus in his Species Plantarum in 1753, and given the specific epithet nivalis, meaning snowy (Galanthus means with milk-white flowers). 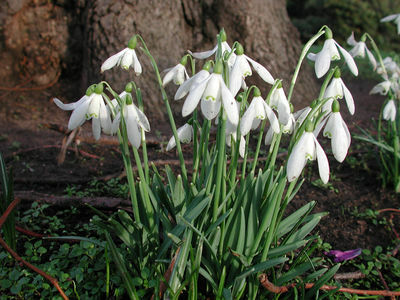 This narrow-leaved snowdrop, with its delicate white hanging flowers, has become very popular in cultivation and is commonly planted in gardens and parks. It is now a familiar sight even in the British Isles and northern France where it is not native. Common snowdrop is one of the most popular of all cultivated bulbous plants, and its flowering is traditionally seen to herald the end of winter. 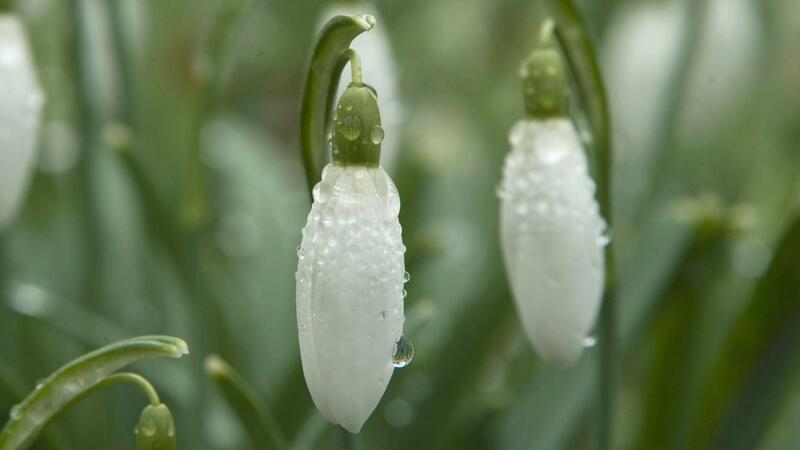 Common snowdrop occurs throughout Europe, from the Pyrenees eastward to the Ukraine, and from Germany and Poland southwards to southern Italy, Albania and northern Greece. It is found at 100-1,400 m above sea level (although it most commonly occurs at 300-600 m). It is considered to be introduced and naturalised in northern Europe, including the British Isles. Overview: The bulb is more or less spherical to ovoid, 2-2.2 cm x 1.1-1.5 cm. The green scape (the leafless, flower-bearing stalk) is 7-15 cm long and bears a single erect flower bud, which later becomes pendent (hangs down). Leaves: The leaves are applanate in vernation (are held flat against each other in bud), more or less linear and 5-15 x 0.4-0.8 cm at flowering. The leaves are smooth and semi-glaucous (dull greyish green). Flowers:The flowers are composed of six white perianth segments (petals and sepals which are similar in appearance), the inner three of which are smaller and have a notch in the tip, above which is a green inverted V- to inverted U-shaped mark. 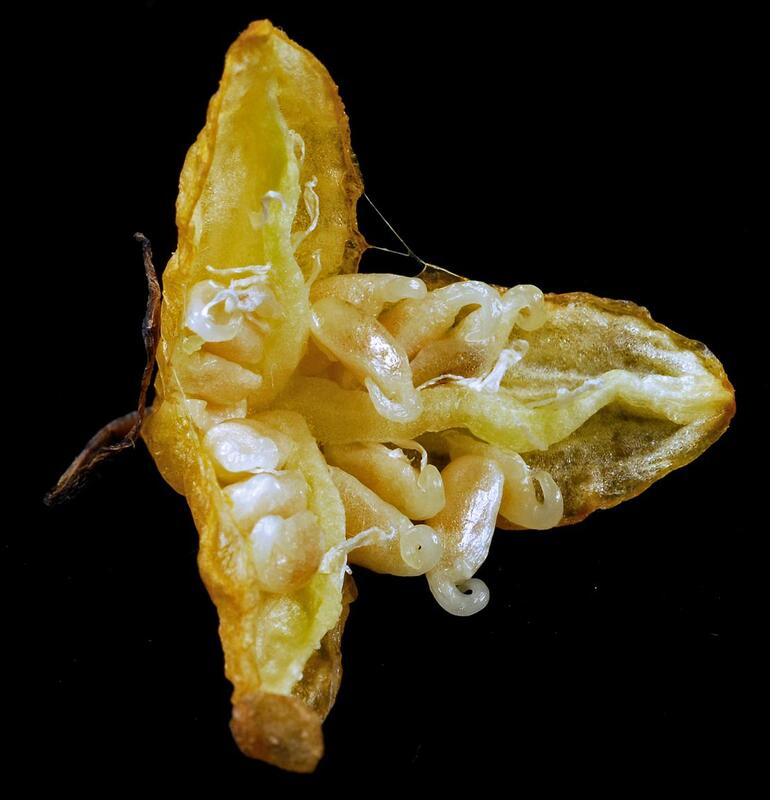 Fruits and seeds: The fruit is a more or less spherical capsule, 1-1.2 cm in diameter. The pale brown seeds are about 0.4 cm long. All snowdrops ( Galanthus spp.) are included in CITES Appendix II, which lists plants that are not currently under threat of extinction, but which should have their trade monitored and regulated to ensure wild populations are not endangered. CITES (the Convention on International Trade in Endangered Species of Wild Flora and Fauna) is an international agreement between governments across the world that aims to ensure that international trade in specimens of wild animals and plants does not threaten their survival. Under this convention, export quotas are set to limit the numbers of plants and bulbs leaving a country and help prevent over-harvesting. 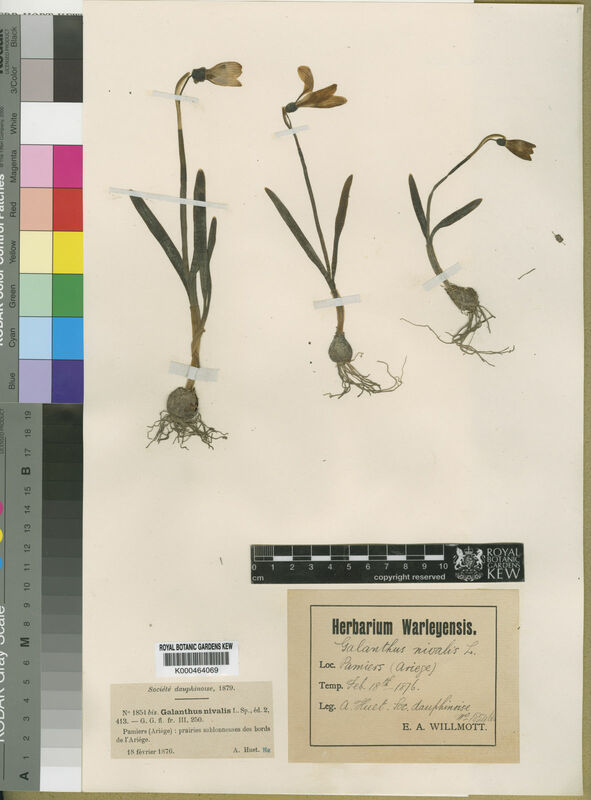 As a result of heavy restrictions, reported trade in wild specimens of G. nivalis virtually ceased in 1995, with the reported end of exports from Hungary. Most nurseries now avoid the use of bulbs collected from the wild by selling stock raised from artificial propagation of bulb offsets, scale cuttings or seeds. Despite the restrictions on the snowdrop trade, populations in some areas remain under threat. For example, G. nivalis was once widely distributed in the East Carpathians (a mountain range arching across Central and Eastern Europe), but during the last decade its distribution has been considerably reduced. The main cause is the destruction of its primary habitat, particularly the lowland-foothill zone, due to increasing residential and recreational land-use. Galanthus nivalis is included in the List of Rare and Disappearing Species of the Ukranian Flora , listed as a species in decline in the Red Data Book of the Ukraine (1996) , and is considered to be under threat of extinction in some areas. Galanthus nivalis is being monitored as part of the IUCN Sampled Red List Index for Plants project , which aims to produce conservation assessments for a representative sample of the world's plant species. This information will then be used to monitor trends in extinction risk and help focus conservation efforts where they are needed most. 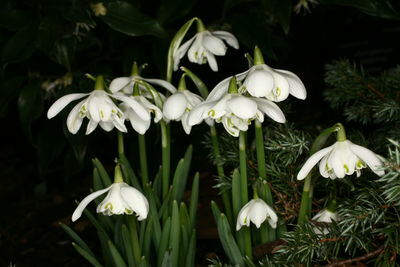 Galanthus nivalis is admired for its delicate beauty; millions of plants are sold each year by the horticultural trade. It is one of the most popular of all cultivated bulbous plants and is widely enjoyed as an outdoor, early spring flower. Snowdrop bulbs are collected on a small scale from privately-owned estates in the UK for sale to wholesalers for the horticultural market. Lifting the bulbs on a four- to five-year rotation helps ensure sustainable production. 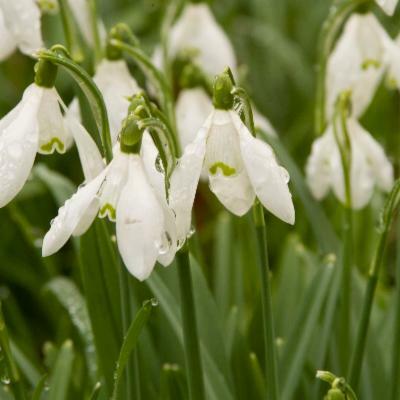 Snowdrop lectin is an effective insecticide, and can be used against pests in the orders Coleoptera (beetles), Lepidoptera (butterflies and moths) and Hemiptera (true bugs including aphids and leafhoppers). 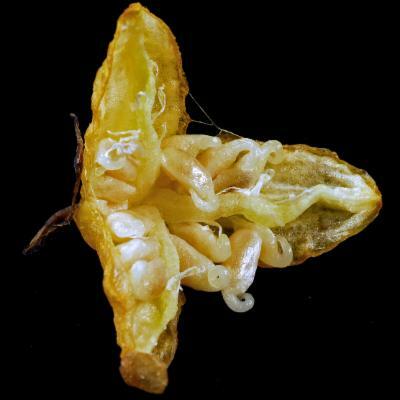 Research has suggested that snowdrop lectin could be a candidate for introduction into genetically-engineered crops, such as tobacco and tomatoes, to increase their resistance to insect pests. 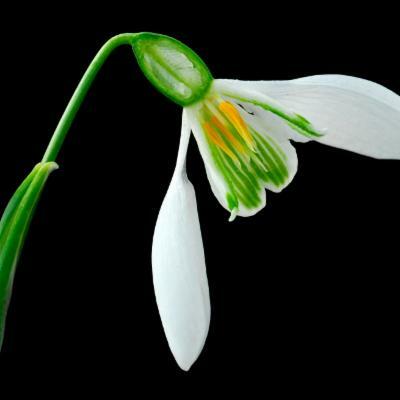 Common snowdrop contains an alkaloid, galanthamine, which has been approved for use in the management of Alzheimer's disease in a number of countries. Galanthamine is also used in the treatment of traumatic injuries to the nervous system. 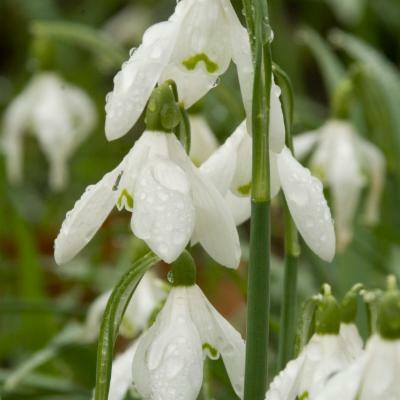 Galanthus nivalis is also an emmenagogue, and as such it stimulates or increases menstrual flow and so can induce an abortion in the early stages of pregnancy. 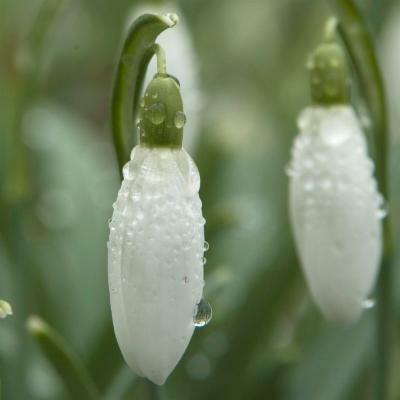 Snowdrop lectin (GNA; Galanthus nivalis agglutinin) is being studied with regard to its potential activity against HIV (human immunodeficiency virus). 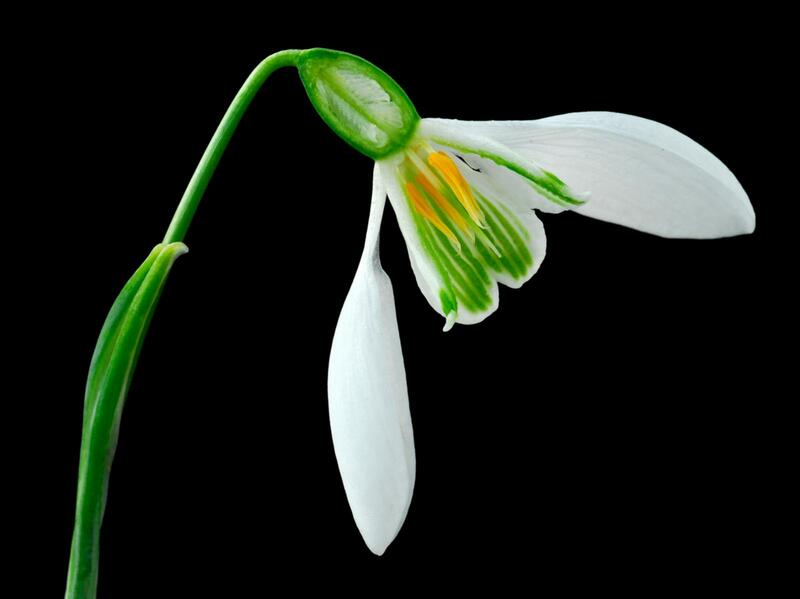 Collections of Galanthus nivalis seeds are held in Kew's Millennium Seed Bank based at Wakehurst in West Sussex. Galanthus nivalis is popular with gardeners because it is easy to grow and because a large number of cultivars and clones are available. Once planted they increase freely, producing new bulbs as offsets, and large and impressive drifts can be easily obtained after some years. 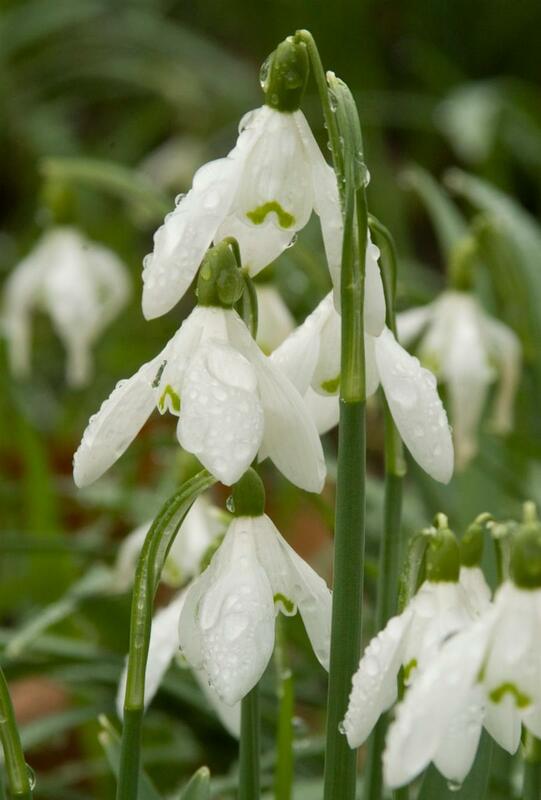 Snowdrops should be planted in dappled shade, in soil that is well-drained but not completely dry in summer. If planted in grass they should be left to die back before the grass is cut. Snowdrops can be seen growing in the Rock Garden, Conservation Area and around the Temple of Aeolus at Kew during January and February. 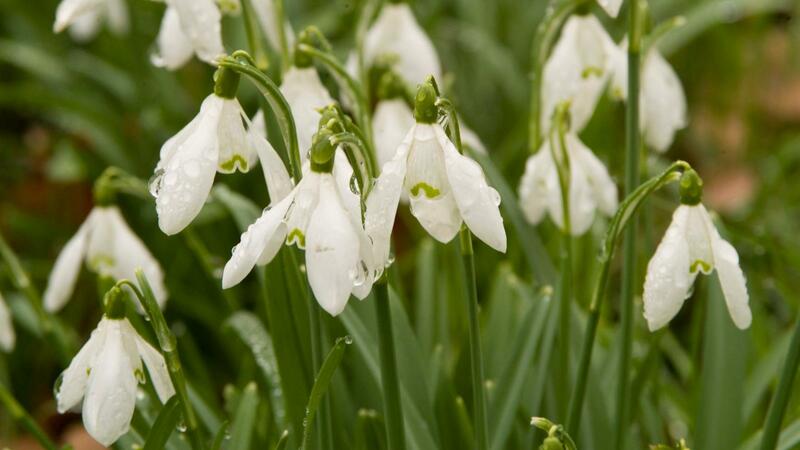 At Kew's sister garden, Wakehurst, there is a beautiful mass planting of Galanthus nivalis near the visitor centre. 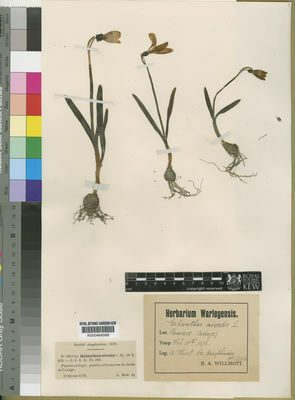 Dried and spirit-preserved specimens of G. nivalis are held in the Herbarium, one of the behind-the-scenes areas of Kew. The plants at Kew Gardens and Wakehurst provide valuable information about our climate and so provide an early warning of the effects of climate change. For example, staff at Kew study the changes in plant life-cycles over time (called phenology). Each year, scientists monitor and record the flowering dates of a hundred native and exotic plants at Kew Gardens. Recent signs of change include a shift in the average flowering date of the common snowdrop ( Galanthus nivalis ). In the 1950s the flowers commonly opened around the end of February, but over the decades flowers have gradually appeared earlier, such that since the 1990s the flowers have opened in January. Mostly deciduous woodland, but occasionally coniferous woodland. Also in meadows, pasture, amongst scrub, near rivers and on stony slopes, particularly on calcareous soils. Near Threatened (NT) according to IUCN Red List criteria. Diev, M.M. (2014). Galyantusy: 1-167. K.M.K., Moskva. Bishop, M., Davis, A. P. & Grimshaw, J. (2006). Snowdrops: A Monograph of Cultivated Galanthus. Griffin Press, Cheltenham. Heinrich, M. & Teoh, H. L. (2004). Galanthamine from snowdrop – the development of a modern drug against Alzheimer’s disease from local Caucasian knowledge. J. Ethnopharmacol. 92: 147-162. Sanderson, H. & Prendergast, H. D. V. (2002). Commercial uses of wild and traditionally managed plants in England and Scotland. Royal Botanic Gardens, Kew. Davis, A. P. (1999). The Genus Galanthus. Royal Botanic Gardens, Kew in association with Timber Press, Oregon. Sampled Red List Index Conservation Assessment for Galanthus nivalis. IUCN, Gland, Switzerland.